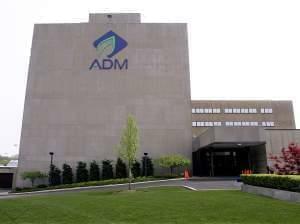 A proposed incentive package created to persuade Archer Daniels Midland Company to keep its global headquarters in Illinois is sparking debate among lawmakers. A former Illinois Department of Corrections accounting employee will serve 21 months in federal prison after admitting to embezzling more than $50,000 from a fund meant to benefit prison workers killed in the line of duty. The looming threat of a government shutdown is not expected to have much of an impact on most federally-operated government offices in the Champaign area. A new survey shows six out of 10 Illinois adults don't know about the new Illinois health insurance marketplace launching Tuesday, or that it will offer eligible people financial help paying the cost of insurance. 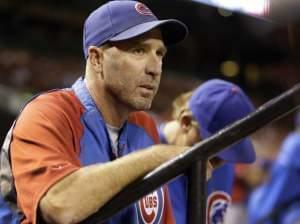 The Chicago Cubs have fired manager Dale Sveum after finishing last in the NL Central for the first time in seven years. Illinois lawmakers are considering a tax incentive package to get Archer Daniels Midland Company to relocate its headquarters to Chicago. The House voted early Sunday to tie government funding to a one-year delay in implementing Obamacare, sending the dispute back to the Senate, where it is certain to get a frosty reception. The House measure also repeals the Affordable Care Act's tax on medical devices. An Urbana City Council member says she's running for the Illinois House seat being vacated by a six-term state representative. Illinois officials say only a fraction of the expected army of outreach workers will be certified and ready Tuesday to help people enroll for insurance under President Barack Obama's health care law. Champaign County Coroner Duane Northrup has identified the victim in Friday's homicide near the University of Illinois campus.